Having your teeth cleaned can make people tense with fear, and the thought of a dentist office can make your anxiety reach a new level, sound familiar? Well, you are not alone. Our patients felt the same kind of phobia about visiting our office. Many have spent year wondering if they should even walk into another dentist office due to a bad experience. Avoiding dentist like a plague, but here at Texas Sedation Dental & Implant Center we offer a pain-free and stress-free environment. 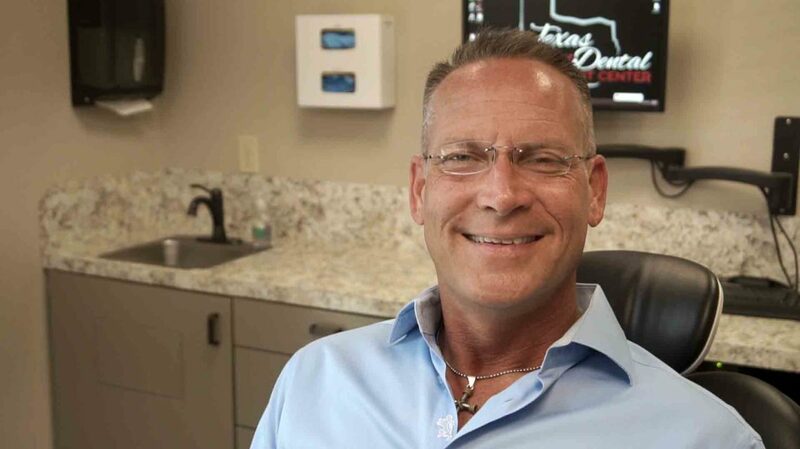 Sedation Dentistry takes all your anxiety away, Dr. Travis Kendall makes all his patients feel at ease with Sedation Dentistry from invasive procedures to a simple tooth cleaning. Texas Sedation Dental & Implant Center reviews each patient, and it all depends on the severity of each patient fear. Sedation dentistry uses different forms of medication to help patients relax during their dental procedures. It’s also referred to as “sleep dentistry,” tho it’s not entirely accurate. Our patients are usually awake with some exceptions, general anesthesia. Sedation Dentistry, are you a candidate? Are all dentist allowed to perform Sedation? Most dentists are allowed to administer minimal sedation. However, only those who have completed the Commission on Dental Accreditation program. Dr. Travis Kendallis a Master of the College of Sedation by the American Dental Society of Anesthesiology. He has extensive training in all phases of Sedation and general anesthesia and is qualified to use sophisticated techniques. Patients often ask, How safe is Sedation Dentistry? With any medical treatment, there is always a risk, but this process is usually safe, listen to some of our patient’s testimonials. There are cases with individuals who suffer from an illness like Sleep apnea, Diabetes or Obese should allow Texas Sedation Dental & Implant Center staff determine if this procedure is ideal for them.Dr. Travis Kendall offers a Free Consultation to learn if any complications could develop due to the anesthesia. Texas Sedation Dental & Implant Center will go over your medical history and determine whether are you’re a candidate for sedation. Before you decide on a dentist be sure to do your research and verify they have the training required to perform the sedation procedure.